Urgent notice! The Pirate King has sent out pigeons throughout all the seas to bring notice to all sailing pirates everywhere. What’s the problem!? Mermaids! They’ve got ballistic with jealousy. After years of watching we surface folk dancing and jumping, running and kicking? 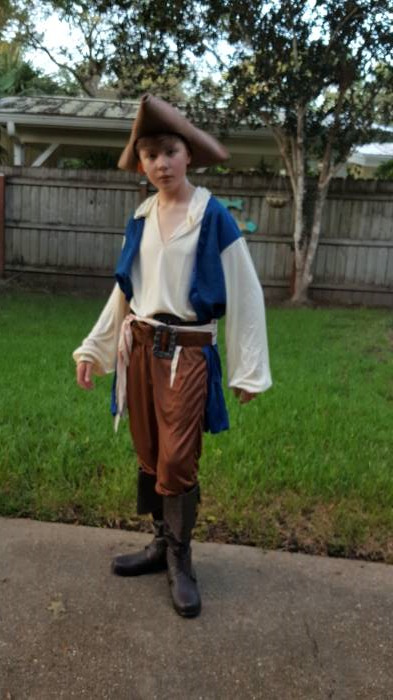 They have had it and began stealing away the best and most rugged of boots from pirates everywhere. Raiding, pillaging, smuggling, looting, and even drinking all require the proper equipment! How can anyone stomp on the deck with the proper profound thump if you’re barefoot!? Now, diving into the ocean to retrieve the stolen leathers from a bunch of merfolk is not the best idea. (The leather would be ruined, anyway!) So, we have secondary plans, but we must work quickly! 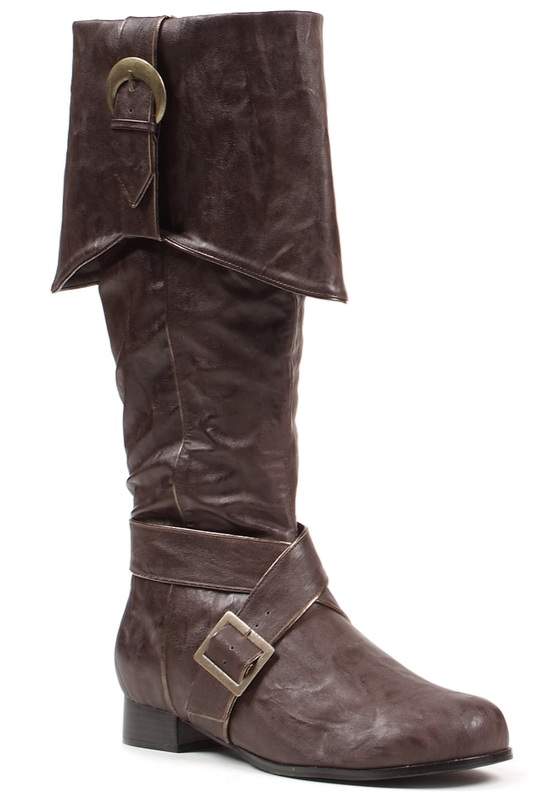 We’re shipping out replacement Men’s Brown Buckle Pirate Boots for those who can act quickly. These brown knee high boots are astoundingly comfortable and available in many sizes, all with a 1 inch heel and a side zipper. Two faux buckles decorate the ankle and arch and the folded flap provide the iconic style of pirates everywhere. Beware, though. The mermaids are watching! My son loves them. We got a men's small and would agree they are true to size. They are a great quality!